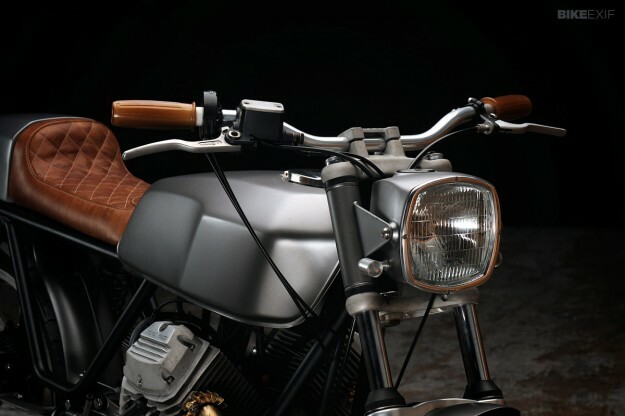 There will be many, many beautiful machines at this weekend’s Handbuilt Motorcycle Show in Texas. 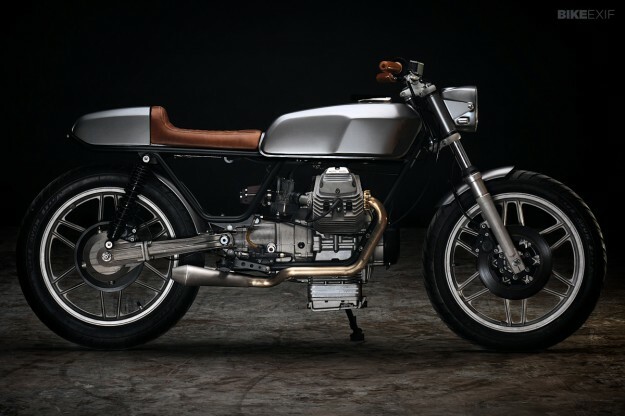 But I’m prepared to bet that one of the stars will be this Moto Guzzi V50 from local heroes Revival Cycles. 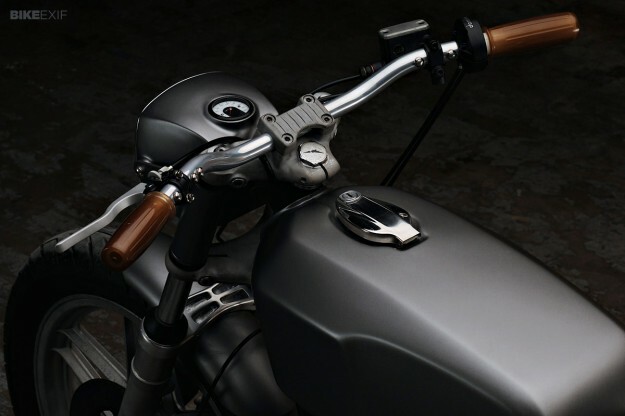 There’s an elegant, unforced style to the bike, which builder Alan Stulberg describes as having ‘good Karma.’ It was one of those projects where everything fell neatly into place—although I’m sure Revival’s renowned craft skills helped. The V50 originally belonged to a friend of Stulberg’s, who used it on several cross-country adventures before deciding it was time for a new owner to enjoy it. Rebuilt forks and a brace machined out of aluminum keep the front end solid, and contribute to the effortless handling of the little V50. The headlight was more complicated: “We chose a Honda Dream headlight, but didn’t want the headlight shell and bezel it came with. So we fabbed a new shell and a polished alloy bezel.” In the top of the shell is a cup that holds a Motogadget instrument. 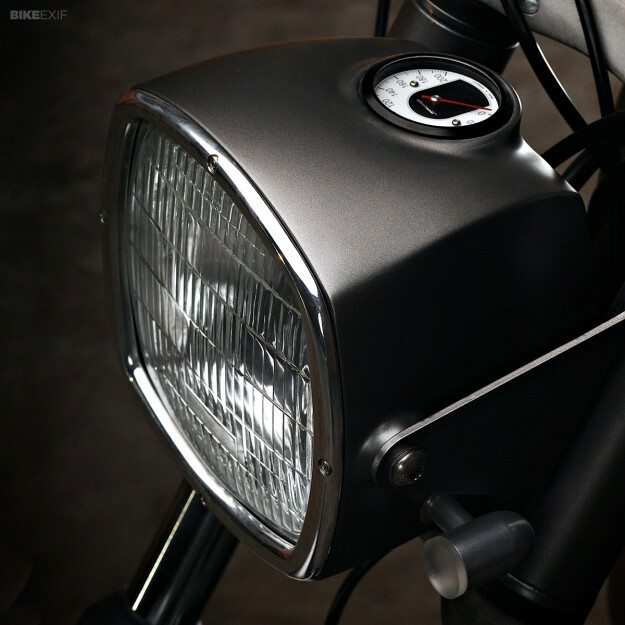 It allows the rider to keep up with the charging system, the speed, the time, and the distance. It even auto dims depending on the surrounding light. It’s a supremely classy build, with bare metal finishes that will age well and eventually gain patina. “I plan to ask the owner to never wash it, but send us photos as he starts to put the miles on it,” says Stulberg. 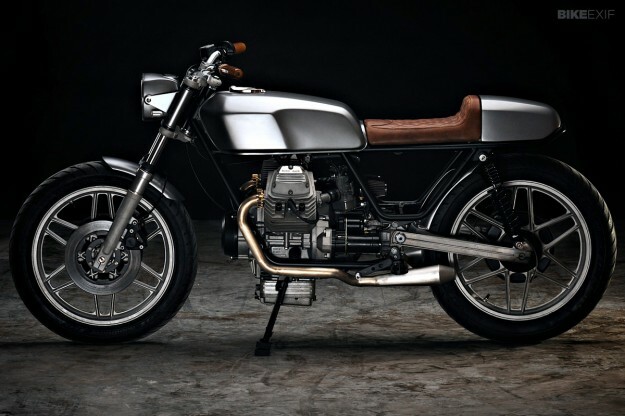 To see this beautiful machine before it gets dirty, you’ll need to head over to the Handbuilt Motorcycle Show in Austin this weekend, coinciding with the MotoGP. 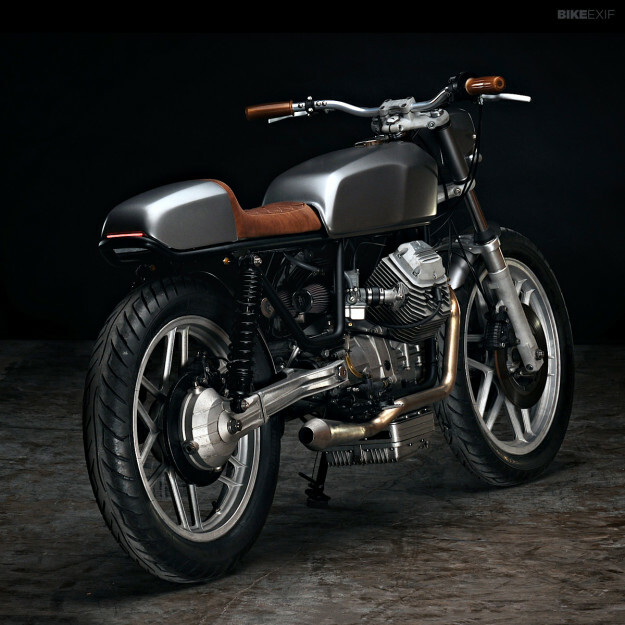 Sponsored by Moto Guzzi, the event will showcase over 100 custom motorcycles—from the likes of Shinya Kimura, Roland Sands, Deus Ex Machina and Walt Siegl.